I illustrated a series of children’s books. And they are here. Yes! You can write a story about anything! Wisley Gardens continues to invite me to be a guest author during the summer school break. Next time, I will be reading Wollee The Worm. After all. bees and butterflies get all the press. 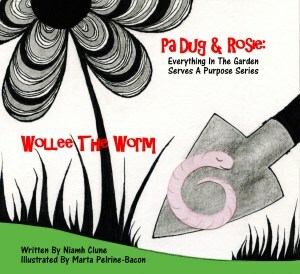 But everything in the garden serves a purpose, including how Wollee-the-Worm helps bring food to our table. He does a very important job helping soil to breathe ~ making it rich and healthy for growing things.